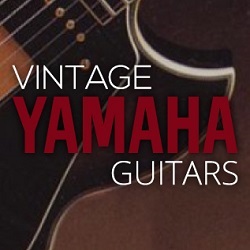 Some of the most famous vintage Yamaha guitars were made using Jacaranda wood for the back and sides. There is a lot of discussion on why Jacaranda is on the cites list. It seems to be on the list becourse it is used as a name for Rosewood. In the cites list it is mentioned together with "Bahia Rosewood, Brazilian rosewood, Jacaranda, Pianowood, Rio Rosewood, Rosewood" as names for the endangered "Dalbergia Nigra". Ofcourse it's important to protect endangered wood species, and yes a lot of rosewood types should be protected. But I still have some thoughts by the fact that it's almost impossible to import some guitars that are made from wood taken from a tree chopped in the 50'ies or 60'ies of the last century . Another weird thing about Jacaranda: It seems to grow on every street corner in South America, Australia and Africa. I wouldn't call that endangered. We even got Jacaranda in Europe . Yeah it's an interesting topic Leon. One plus side of the CITES regs is of course that it has made guitar builders look to woods that have not been widely used in guitars up to now. We have more exotic wood guitars than we have ever had and some really nice looking and great sounding guitars have appeared. 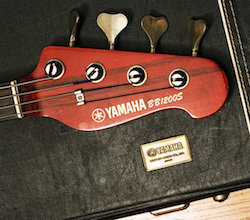 You do though have to wonder at some inclusions in the regs and in particular where it affects old guitars. I guess they thought it would be a lot easier to administer if they made it a blanket rule about certain woods? Of course you can get a license to export/import but it takes ages and there is a cost. Ironically here nobody is interested in these guitars as they are not Martins, or Gibsons, or Fenders. It is sometimes so hard to convince people to try other lesser known brands of guitar. The marketing teams at Gibson, Fender and Martin have done a great job! Taylor of course are catching up fast. There is a whole world of fantastic acoustic guitars out there. So many smaller builders these days, producing beautiful instruments that sound and play wonderfully but breaking into the larger market is so difficult unless you get someone to endorse the brand. That in itself is a whole new set of problems! To be fair, the modern acoustic guitar was completely invented by Martin (in relatively few years of development) and those two guitars are good copies of pre-war Martins (D28 and D41 respectively). There is nothing like a good Martin, the problem is in order to get a good one you need to spend at least $4000. Regarding Fender, they have done a good job at destroying Tacoma, Ovation and Guild in order, Gibson acoustics are strangely underrated with a lot of people b!tching about quality while they are much better than the Gibson electrics. For the new brands, today it's hard because there are hundreds of them, in the 50s you could either get a Martin, a Gibson and later a Guild...however innovative designs with quality like Ovations were an instant success, also because at that the "vintage worship" was something unheard, the O guitars were as popular as the M ones from the 60s to the 90s. But however high end stuff (Santa Cruz, Goddall, Avalon, Lowden, etc...) seems to be popular, I miss the reason why as you pay more for guitars that are copies of Martins and Gibsons...bah! Jacaranda mimosifolia is a sub-tropical tree native to south-central South America that has been widely planted elsewhere because of its beautiful and long-lasting blue flowers. It is also known as jacaranda, blue jacaranda, black poui, or as the fern tree. Jacaranda is a genus of 49 species of flowering plants. In scientific usage, the name "jacaranda" refers to the genus Jacaranda, which has many other members, but in horticultural and everyday usage, it nearly always means the blue jacaranda. Dalbergia nigra, commonly known as the Bahia rosewood, jacarandá-da-bahia, Brazilian rosewood, Rio rosewood, jacarandá-do-brasil, pianowood, caviúna, graúna, jacarandá-una or obuina is a species of legume in the family Fabaceae. I think the problem is that in the cites list Jacaranda is mentioned as one of the translations of Dalbergia Nigra. I think that's the reason some won't ship guitars overseas with Jacaranda.